Super Seni is a Premium breathable all-in-one adult diaper for waist sizes 75 - 110cms. 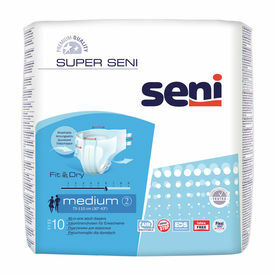 Super Seni is a Premium breathable all-in-one adult diaper for waist sizes 75 - 110cms. 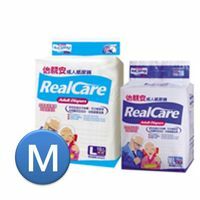 This diaper is for people with moderate to heavy incontinence and provides high absorbency and perfect protection. 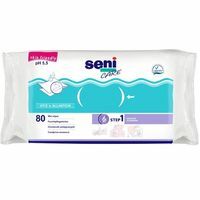 Each diaper can be used for up to 8 hours. 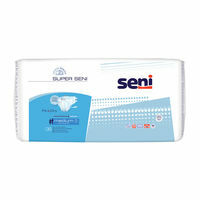 Super Seni adult diapers have been dermatologically tested and are made with air-breathable material. 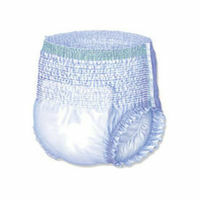 They are completely latex free. 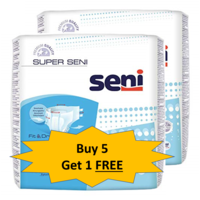 First time users, please click here to learn how to find the adult right diaper for you.